America's chief federal banking regulator admits it failed to act on numerous "red flags" at Wells Fargo that could have stopped the fake account scandal years earlier. One particularly alarming red flag that went unheeded: In January 2010, the regulator was aware of "700 cases of whistleblower complaints" about Wells Fargo's sales tactics. The review painted a damning picture of the OCC's ability to spot what in retrospect should have been obvious problems at one of the nation's biggest banks. The OCC did confront Carrie Tolstedt, then head of Wells Fargo's community bank, about the stunning number of whistleblower claims. However, there are no records that show that federal inspectors "investigated the root cause," or force Wells Fargo to probe it. It's now clear that root cause of Wells Fargo's problems -- both the creation of fake accounts and the related 5,300 firings -- was the notoriously aggressive sales goals targets set by senior management. At one point, rank and file bankers were asked to open as many as eight accounts per customer. That's why the bank has eliminated them. From top management to Wells Fargo's board of directors, everyone turned a blind eye to these issues. There's evidence now that some of this was flagged as early as 2004 to management. And the OCC report says that Wells Fargo's board of directors received "regular" reports going back to 2005 indicating that most ethics line complaints and firings were related to sales violations. That appears to be earlier than the Wells Fargo board has indicated it was aware of a problem. A 110-page investigation launched by Wells Fargo's board said the bank's management did not flag sales practices as "noteworthy risks" to the board prior to 2014. The OCC examiners in charge of Wells Fargo received those same reports "since at least early 2010," the review found. Ultimately, it took until September 2016 for several federal authorities, including the OCC, to finally sanction Wells Fargo. Wells Fargo's $185 million settlement over the creation of some 2 million fake accounts and 5,300 firings created a firestorm so great that the OCC told Congress it would launch an internal review over what went wrong. Within the past few weeks, the OCC has removed its top Wells Fargo inspector from his duties monitoring the bank, a person familiar with the matter previously told CNNMoney. That examiner, Bradley Linskens, had been in charge of Wells Fargo since March 2014 and oversaw a team of 60 to 70 OCC employees, according to the source. 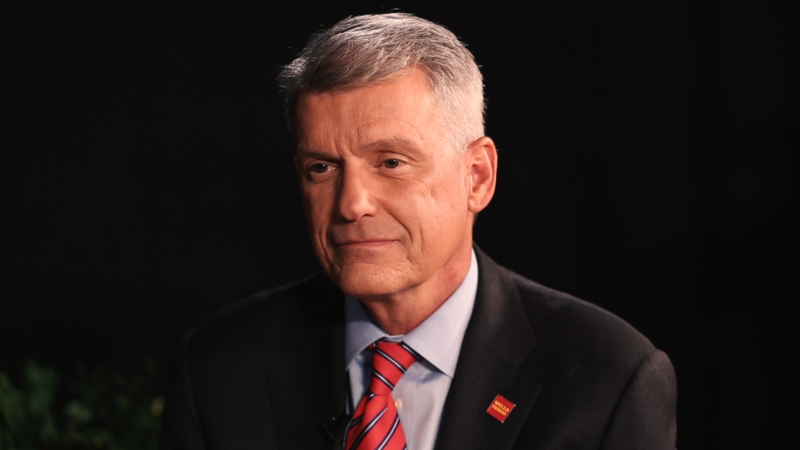 Wells Fargo declined to comment about the OCC's new findings. "We made a number of mistakes, there's no question about it," Wells Fargo CEO Tim Sloan told CNN's Poppy Harlow this week. "We had an incentive compensation plan that drove inappropriate behavior." Sloan said he's focused on "fixing what was broken" and "making things right" with customers and employees. The OCC review may help explain how the Wells Fargo scandal was able to go on as long as it was. The massive investigation by Wells Fargo's board of directors found evidence of "mass terminations" related to improper sales tactics that went back to "at least 2002." Regulators were apparently aware of hundreds of instances where employees spoke up about problems as well. But the OCC "failed to document resolution of whistleblower cases," the OCC review found, adding that these early warnings were not properly researched, analyzed or resolved. When OCC examiners asked Tolstedt about the 700 cases of whistleblower complaints "related to gaming of incentive plans" in 2010, she downplayed the issue, according to the OCC. The report said Tolstedt claimed that the "high number of complaints" was the result of a culture that "encourages" complaints that are "investigated and appropriately addressed." The Wells Fargo board report too had similarly concluded that Tolstedt "resisted and impeded scrutiny" and even "minimized the scale and nature of problems." Tolstedt also told the OCC that Wells Fargo's incentive programs are "capped" at 10% to 20% of total cash compensation "to keep motivation in check," the OCC said. In addition to the post-mortem on its supervision of Wells Fargo, the OCC is still carrying out a review of sales tactics by other large national banks to look for potential problems. "That review is underway and we will not be commenting on the ongoing supervisory work," an OCC spokesman said in a statement.